The 39th Annual Rod-N-Tiques Car, Truck and Motorcycle Show/Poker Run is this Saturday and Sunday, June 20 and 21. 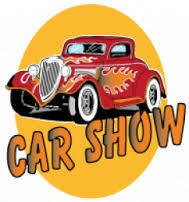 Held at the Morrow County Fairgrounds, all cars, trucks, and motorcycles are welcome. A total of 75 trophies for Saturday and Sunday are on hand. Registration is Saturday, 10 am – 2 pm (awards at 3 pm) and Sunday 8 am – 1 pm (awards at 4 pm). A Poker Run will be held will be held Saturday, and a 50/50 drawing and raffle on Sunday (must be present to win). First 200 cars receive a dash plaque. There will be games and a Kids’ Model Car Contest. Registration for vehicles is $20. Prices: Saturday OR Sunday (one day) $10 at gate. Both days $20. There will be a cookout Saturday evening. Campers: $15 per day. Spectators: Saturday: donations. Sunday: $2 per person or $5 per carload. This event is sponsored by Subway and Anthony Bush Farms. Questions? Call Ron Redman at 419-864-9716; Roger Babbs at 419-688-0162; Bud Lemley at 419-210-7558; or Damon Cooper at 419-569-5817.